The $194 million Trump Tower project has raised about $50M through the EB-5 program, according to a general counsel of US Immigration Fund. The EB-5 program grants foreigners access to visas when they invest at least $500k into businesses that create or preserve at least 10 full-time jobs for US workers. Most notably, 85% of all granted EB-5 visas end up in the hands of Chinese investors. To be fair, it wasn’t Donald Trump himself who directly solicited the funds. His son-in-law Jared Kushner is developing the Jersey site through his business "Kushner Companies." Developers typically pay Donald Trump’s organization a standard licensing fee in order to use the name "Trump" for their buildings. 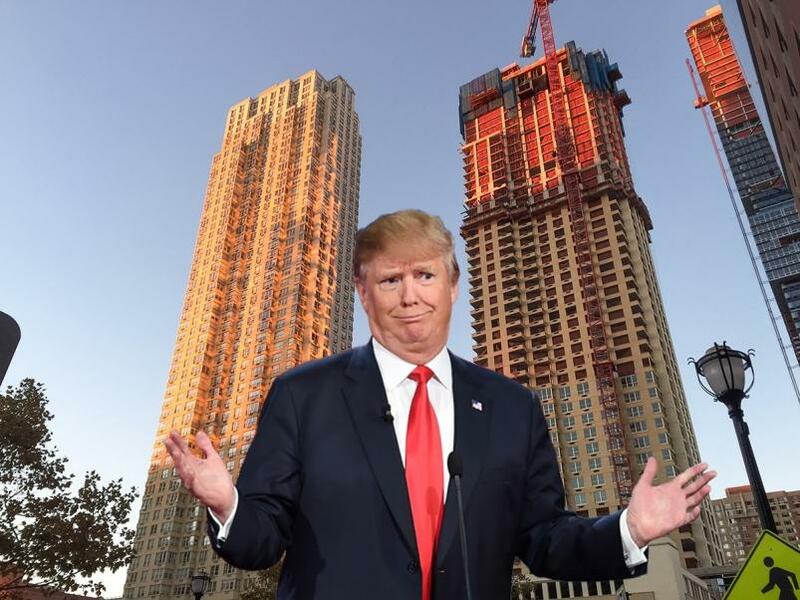 Trump Bay Tower is a 50-story luxury residence which will feature 447 rental units along with 11,000 sq.ft of commercial space located at 65 Bay Street in Jersey City. Some other buildings branded with the Trump name are the famous Trump World Tower and the Trump Soho Condominium Hotel.